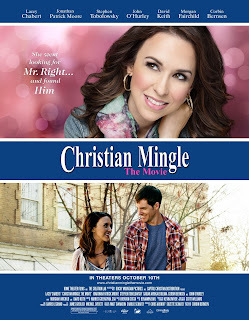 The 2014 film Christian Mingle has something very much in common with the Transformers film series. Not because it’s a romantic comedy populated by giant robots, though that would be awesome, but because both films have product placement right there in the title. Transformers was promoting the toys that turn from robots to cars (among other things) and Christian Mingle refers to a dating website of that same name -- and the film actually has Christianmingle.com television commercials. I’m sure this all made the financing of Christian Mingle quite interesting, but the very premise of the film, what keeps it from being merely product placement, an utter shill, is that the website is an easy vehicle for fraud. It’s about a woman named Gwyneth (Lacey Chabert, Gretchen of Mean Girls who tried to make the term “fetch” happen), the last single woman in a group of friends, who in desperation turns to a Christian online dating site even though she isn’t a Christian. If someone can lie so easily about their faith on a dating website, surely worse forms of fraud (and adulterers and predators) can’t be far behind. But, since this is a romantic comedy, we simply have Gwyneth (“Don’t call me Gwennie!”) trying to convince unsuspecting born-again suitor Paul Wood (Jonathan Patrick Wood) that she is a Believer. The movie was written and directed by Corbin Bernsen and has enough cameos from TV and film to fill a modern day Love Boat. David Keith (An Officer and a Gentleman) and Morgan Fairchild (Falcon Crest) are Paul’s parents! Stephen Tobolowsky (Groundhog Day’s Ned Ryerson) and John O’Hurley (Seinfeld’s J. Peterman) are Gwyneth’s employers! And Bernsen himself (L.A. Law) is the bicycle repairman. 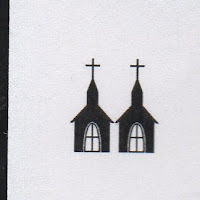 Of course, this blog is all about how churches and clergy are presented in films, and though Christian Mingle includes no clergy, we do see not one, not two, but three churches in the film! Though none of the churches are named in the film, they are each quite distinct. The oddest thing about the church seems to be the way they handle missions trips. Paul, his family, and everyone in his Bible study go off on a trip to Mexico to repair a church that was damaged in a great storm. Gwyneth doesn’t learn about the trip until the day before they depart. She’s angry at Paul, who she’s just started to date, for not telling her earlier that he’s be gone for a month. So Paul calls Gwyneth from Mexico and asks her to come on down and join the group. Another strange thing about this Mexico missions trip is that the church group hangs banners throughout the town with Scripture verses -- all in English. When they lead a worship service with villagers, Paul’s father sings in English (without translation). Fortunately, there is translation to Spanish in a Bible study led by Lacie, Paul’s mother. Unfortunately, there is something else truly horrible in that Bible study. Lacie has begun to suspect that Gwyneth is not a Christian, so when a young Mexican woman asks a question in Spanish, she directs the question to Gwyneth, who doesn’t speak Spanish. Eventually, Lacie (who does speak Spanish) translates the question, “Why would a loving God allow the destruction that happened to our village in the storm?” Somehow, Gwyneth not having a ready answer to this question shows she is not a Christian. I would have a different take. Answering such a difficult question quickly and glibly shows a rather shallow understanding of the Scripture and the Christian faith. Even worse, the Bible study has centered on I John 4: 7 - 8, “Dear friends, let us love one another, for love comes from God. Everyone who loves has been born of God and knows God. Whoever does not love does not know God, because God is love.” Because Lacie’s goal is to humiliate Gwyneth, according to this Scripture, Lacie is the one who seems to be failing the Christian test. Another church in the film is the Mexican church which the mission team comes to repair. The priority seems to be get the bell up and working again. There seems to be a school in the church, and an odd thing about that school is that they bring in a teacher that doesn’t speak Spanish (only English). But the people in the church seem nice. There is one other church. When Gwyneth is exposed as not a Christian (at least not the kind of Christian who know the proper formulas for praying and answering Bible study questions), Paul breaks up with her. Gwyneth finds a storefront church where she’s greeted with love and friendship. There is great Gospel music at the church and good teaching. (Gwyneth learns she needs to receive Jesus as her Lord and Savior at the church.) And the church serves meals to the poor, and Gwyneth joins in on serving. 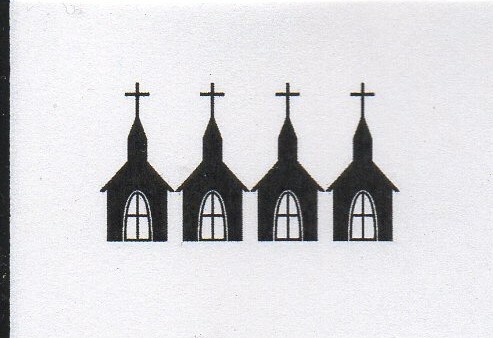 So I’m giving Gwyneth’s church Four Steeples. 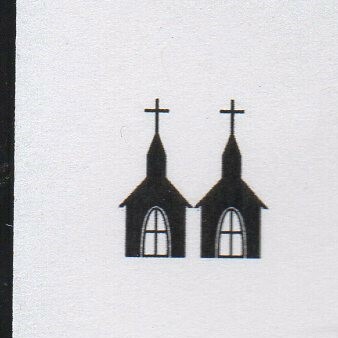 The other two churches only get Two Steeples each.